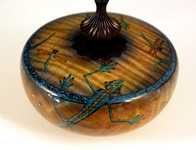 Description: An ornamental-turned box made from bigleaf maple and African blackwood by Gorst Duplessis with lizards and dragonflies inlaid using mineral crystals by Stephen Hatcher. 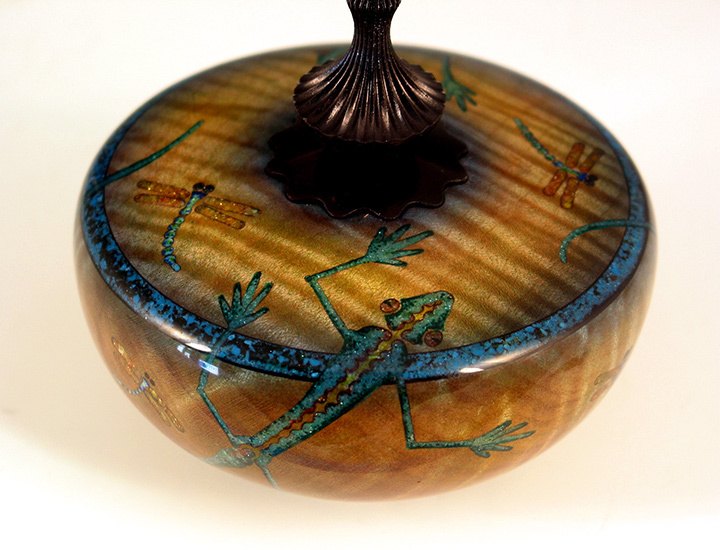 The finish is airbrushed dyes with a lacquer topcoat. 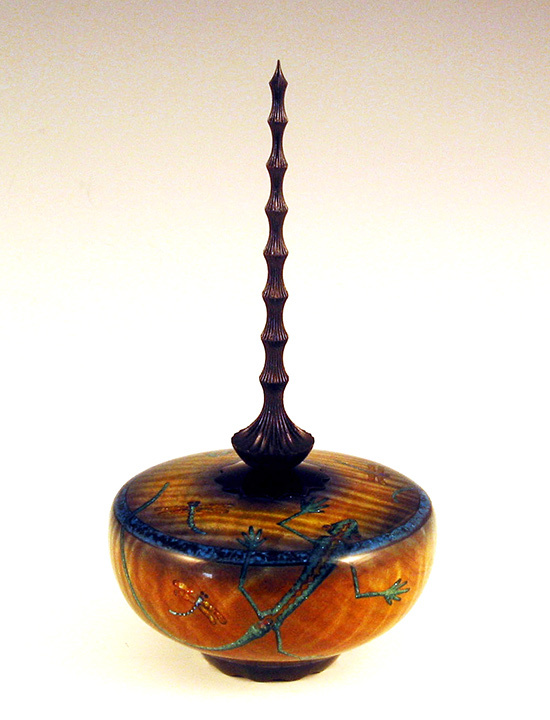 Comment: A collaboration between Gorst and Stephen for the American Association of Woodturners 2007 Educational Opportunity Grant Auction.